Georgian Papers Programme > In the News & Blog > Latest post > George I and George II and the Royal Archives: the missing monarchs? George III is the Hanoverian monarch perhaps most frequently associated with the Royal Archives. The king’s own voluminous correspondence forms an important part of the collection and, in the early nineteenth century, his son, as Prince Regent, was instrumental in helping to secure the two collections that constitute the ‘Stuart Papers’ for the Royal Archives. When it comes to the early Hanoverian monarchs, however, there are limits to what can be discovered from the material in the Royal Archives. This relative paucity of material for the first two Georgian monarchs can be attributed to two factors. One reason relates to the relatively slow process by which the Hanoverians became acculturated into their new British possessions. When George I came to England in 1714 he brought with him a considerable Hanoverian entourage of servants and advisors. These ‘outsiders’ were the cause of much local resentment, not least because George I was a relatively private man and his two Turkish man-servants were stout guardians of their master’s privacy. The fact that George set up a separate German Chancery in London to handle his Hanoverian affairs also meant that much of his political correspondence was handled via another route. When the Personal Union (of the thrones of Britain and Hanover) came to an end with Queen Victoria’s accession in 1837 and her uncle acceded to the Hanoverian throne, the records of the German Chancery were returned to Hanover. Moreover, much of the material relating to the royal family’s life in Hanover, which both George I and II visited frequently, remained in the family archives there, eventually finding its way into the Hanoverian State Archives. Beyond dispersal of material, eighteenth-century elite custom also played a role. Although it was common for correspondents to keep letters, it was not unusual for letters to be returned to families on the death of the original correspondent. In addition, contemporary accounts suggest that George II destroyed many of his father’s private letters after his own accession, and it is possible that something similar happened after his own death in 1760. One of the reasons that George II may have been keen to destroy his father’s papers was that he was anxious to suppress his father’s will, which had raised questions about the ongoing desirability of the Personal Union of Britain and Hanover. Some of the material relating to George I’s discussions about the possibility of varying the succession laws in Britain and Hanover to allow for an ending of the Personal Union is included in the second batch of digitized documents unveiled by the Georgian Papers Programme, released today. Beyond concerns about the political viability of sharing a ruler between two rather different territories, interest in the possibilities of altering the succession reflected the notoriously poor relations between fathers (and to a lesser degree mothers) and eldest sons within the Hanoverian royal family. Splitting the inheritance offered the possibility of favouring one child over another or providing for younger children who lacked other prospects. It was commonly thought that George II and his wife favoured their younger son, William, Duke of Cumberland, over Frederick, Prince of Wales. Familial rivalries, therefore, had a discernible impact on patterns of surviving material. This intergenerational tension also had personal and psychological origins. The banishment of George II’s mother, Sophie Dorothea of Celle, following her divorce from his father in 1694, did little to endear George II to his father. Similarly, the fact that George II did not see his own eldest son, Frederick (b. 1707), between 1714 and 1729 hardly helped their relationship. There were also, however, more serious structural reasons for dysfunctional relationships. George II’s accession in 1727 was unusual in that it did not see much alteration in the composition of the ministry. The default assumption for eighteenth-century politicians was that a new reign would bring in new ministers. Consequently, those who had fallen out with the current administration naturally gravitated towards the heir to the throne as a better bet for the future. Much of the detailed story of the deterioration of the relationship between George and his son can be found in the manuscript memoirs of John Hervey, 2nd Baron Hervey (one version of which is contained in today’s release). Hervey enjoyed privileged access to the royal court. He served as Queen Caroline’s Vice-Chamberlain and the memoirs give a strong sense of his loyalty towards the queen and Robert Walpole, who had been chief minister since 1721 and had managed to survive the transition to a new monarch in 1727, and his frustrations with the king. Hervey’s memoirs have been available in print for a number of years, and consequently Hervey’s voice has been important in shaping how we think about George II’s court. However, despite the scantiness of material on Georges I and II, some of the documents from the Royal Archive, published here for the first time, do serve to add to our understanding of these monarchs and can provide us with new details that both contrast with and complement Hervey’s narrative. Financial records, for example, provide valuable insights into both priorities and personality. While the early Hanoverians did not maintain their own theatrical and operatic establishments on the scale of some of their continental counterparts, their patronage of institutions within London was nevertheless important. For the proprietors, association with the royal family was a useful marketing tool and royal attendance at a performance was frequently advertised in advance as a means of drumming up custom. Meanwhile, the royal family could use appearances at cultural events as part of a wider public relations strategy. Attitudes towards money were another area where there were generational differences – George II was careful to harbour his resources while Prince Frederick, by contrast, thought that lavish spending was one of the marks of royal power. This pattern was to repeat itself with George III and his eldest son. 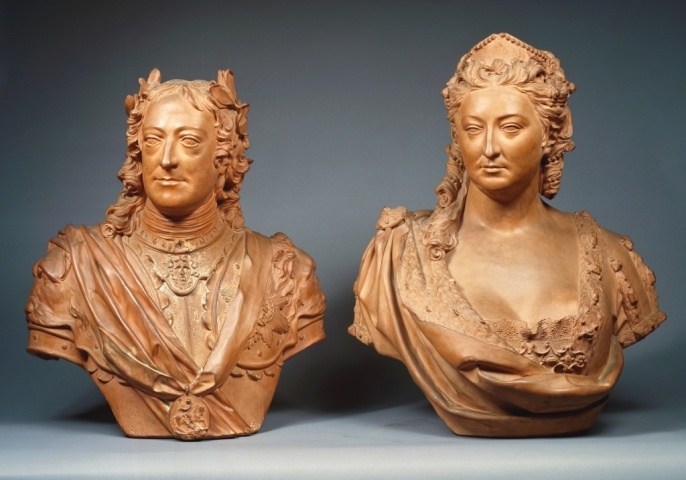 In addition to papers about the kings themselves, the Royal Archives also hold material relating to their wider families: George II’s children Frederick and William Augustus and his wife, Queen Caroline. Caroline’s role as advisor, confidante and patron has received considerable attention recently, both in print and in an exhibition at Kensington Palace. She had a broad set of intellectual interests, which Hervey tended to contrast approvingly with her husband’s less sensitive approach to culture. More importantly, though, the papers of the wider royal circle emphasize the extent to which being royal was a ‘family business’ to which all contributed. It is only through studying the dynasty as a whole, over time and space, that we can understand what was really going on. Although there are clearly gaps in the surviving material, the archives digitized here offer new and exciting opportunities for exploring the history of the early Hanoverian monarchy. Dr Andrew C. Thompson is Director of Studies in History at Queens’ College, University of Cambridge. He is the author of the first biography of George II to make extensive use of British and German material, George II: King and Elector, published in the Yale English Monarchs series (New Haven and London, 2011). He has published widely on early Hanoverian politics and religion, including Britain, Hanover and the Protestant Interest 1688-1756 (Boydell & Brewer, 2006). He is currently editing a companion to Dissent in the long eighteenth century.